DTE Energy, the electric utility that serves Detroit and other parts of Michigan projects that by 2017 the entire DTE customer base of over 2 million users will have smart meters installed. Among other advantages of the technology, this will allow the market to experiment with new pricing models for electricity. For example, the company has recently kicked of a program known as Dynamic Peak Rate pricing. 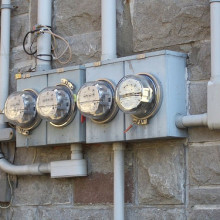 This allows for various rates to be charged for electricity at different times of the day. When demand for electricity is high the rates go up while rates are allowed to fall during periods of lower electric demand such as overnight. Such plans are becoming more common in other parts of the country such as Texas, where smart meter market penetration is very high. This has caused a number of innovative products such as prepaid electricity which would not have been possible just a short time ago. It remains to be seen how consumers will respond to the new plans. Consumer habits are often hard to predict and even harder to change.